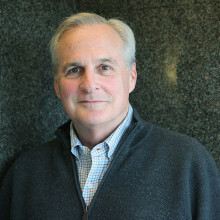 Our Team | Optima Group, Inc.
Ken launched Optima Group in 1979 when he started providing freelance marketing communications services to companies such as Paine Webber Mitchell Hutchins and Bank Boston. Since then, Ken has continued to spearhead the evolution of Optima Group to ensure that the firm stays tightly aligned to evolving marketplace needs and best positioned to understand and deliver what our financial services clients need. In the 1980s, Ken realized that research and consulting services would complement and enhance Optima Group’s core marketing communication services allowing us to deliver more powerful content to our clients. Ken remains closely involved in all Optima Group projects. He counsels clients on critical issues in the investment management industry, and speaks at various financial conferences. Ken holds a B.A. from Claremont McKenna College and an M.S. from Yale. Since joining Optima Group in 1996, Ellen has continued to apply her commitment to excellence in managing and delivering initiatives on both the creative and consulting sides of the business. 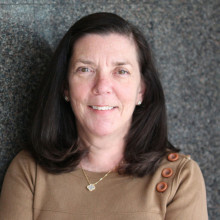 Previously, Ellen spent seven years at Bankers Trust, where she worked at BT Global Investors, the Individual Services Group and the Private Bank charged with product development and marketing. Before that she was with First Chicago in Japan. Ellen holds a B.A. from the University of Pennsylvania, an M.B.A. from Cornell, and holds the CFA designation. Since 2002, Tracy has directed and developed Optima Group’s innovative design solutions that span traditional and digital programs. Maintaining personal involvement in all Optima Group creative, she spearheads our team of in-house designers. 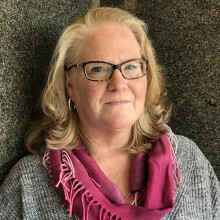 Throughout her twenty-plus year career in design, Tracy has won numerous awards for her work, including CADC and PRINT. Her approach is characterized by simplicity, reinforcing the balance of form and function. Prior to Optima Group, Tracy developed her creative skills at such notable design firms as Knoll International, Design Trust, and Weizs & Yang. 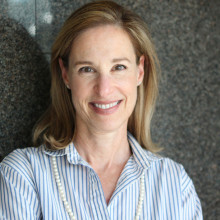 Among many others, she has provided creative solutions for Sotheby’s, GE, IBM, Bear Stearns, Booz Allen & Hamilton, Coopers & Lybrand, Tambrands, Swiss Army and Greenwich Capital Markets, as well as fine jewelry and watch brands. Tracy holds a B.S. in Graphic Design from Sacred Heart University, and will receive her M.B.A. in digital marketing from The Welch College of Business in 2019. 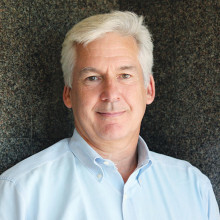 Joining Optima Group in 1997, Dennis is head of all our quantitative and qualitative research programs, including the data analysis and financial modeling critical to the consulting and strategic marketing sides of the Optima Group business. 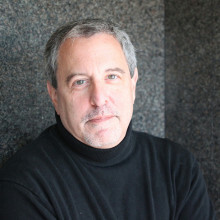 Previously, Dennis was one of the founders and Senior Vice President at Strategic Insight, where he helped set up and launch the entire research function, industry tracking, and database capability targeted to the mutual fund industry. Subsequently, Dennis joined Financial Research Corporation as a Partner where he expanded the firm’s capabilities in research and financial analysis throughout the investment management industry. Dennis holds a B.A. from Reed College and an M.B.A. from Rice University, and nearly completed the Ph.D program in philosophy at Boston College specializing in phenomenology. Heading up Optima Group’s marketing and strategic growth initiatives, Susan joined the firm in 2011 after twenty-plus years in marketing and business development. Previously a Principal in the Financial Services Practice of Korn/Ferry International, Susan was recruited by a client in venture capital as head of marketing and recruiting for Athena Ventures. Susan holds a B.A. from Harvard. 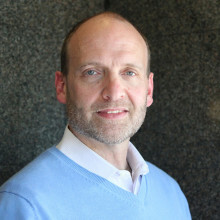 Peter is a senior consultant responsible for the development of marketing, brand, and product strategy, advising clients on effective programs targeting institutional, retail, and HNW markets. Peter has more than 18 years of corporate and agency experience, most recently serving as interim CMO for the marketing agency, IPG Group, and was previously Global Head of Marketing & Communications for the institutional brokerage firm Newedge/Societe General. Prior to that, he was Managing Director and Head of Marketing & Communications for The Royal Bank of Scotland’s investment bank and broker dealer in the Americas. Peter earned his M.B.A from Cornell University’s Johnson Graduate School of Management and a B.A from SUNY Fredonia. Philip is a senior consultant responsible for advising clients on strategy relating to marketing, product, channel management and communications. Philip has broad experience in insurance, banking, and investment management, having served in executive capacities at MassMutual, Advanta Corporation, Penn Mutual and People’s United Bank. Most recently he was Executive Vice President at Pappas MacDonnell, Inc., where he worked on a range of assignments for some of the world’s leading banks, insurance companies and diversified financial services organizations. Philip is a Chartered Life Underwriter and an alumnus of Yale College and the Harvard Business School.